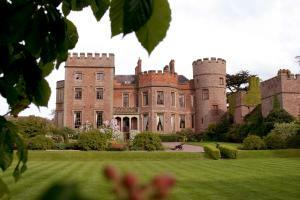 Choose from 71 hotels and guest houses in Shropshire. Shown below a just a selection of the hotels available. To search within an area please use the menu on the right. Set in the heart of Shropshire's beautiful countryside, The Punchbowl is a 16th-century country inn offering private accommodation in Bridgnorth, within walking distance of the town centre. The Punchbowl Inn houses the stylish Oldbury Suite, including a living room with comfortable sofa, LCD flat-screen TV and an en suite with bath and power shower. Free Wi-Fi internet access is also available and there is a complimentary continental breakfast. An award-winning, family-run establishment, The Punchbowl Inn serves good food and real ales in a warm setting with open fires, beamed ceilings and regular entertainment. 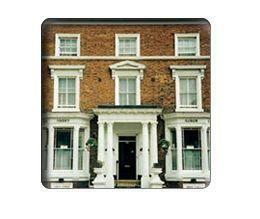 The Feathers Hotel Ludlow prides itself on offering a high standard of accommodation and service. On arrival at the hotel,our friendly, attentive staff will greet you and endeavour to ensure that you enjoy your stay. 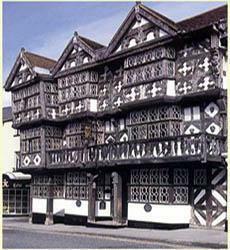 Described by Nikolaus Pevsner in 'The Buildings of England' as 'that prodigy of timber framed houses' and, more recently, in the New York Times as 'the most handsome inn in the world', the Feathers Hotel is internationally recognised for its beautiful Jacobean architecture and medieval heritage. Situated at the heart of the ancient market town of Ludlow, there are excellent craft and antique shops and a wealth of historic buildings all within easy walking distance. Being so central, the Feathers Hotel has, for centuries, been an important meeting point for the local community, and visitors enjoy its lively atmosphere, particularly during the annual arts-dedicated Ludlow Festival, which takes place during the last week of June and the first week of July. In the heart of Shrewsbury town centre, this carefully preserved Georgian townhouse offers free wireless internet access, 16 en suite rooms, a relaxing bar and lounge area and free private parking. The Abbots Mead Hotel is a Grade II listed Georgian property situated close to the River Severn and just a short walk from some of the great restaurants that this delightful market town has to offer. The Abbots Mead Hotel is a privately owned, family-run hotel and your hosts, Barry, Eileen and Andrew Bailey, take great pride in the quality of the accommodation and the hotel's relaxed, friendly atmosphere. A tasty full cooked English breakfast is included in the price. The Abbots Mead Hotel is now a 2-star AA Metro Hotel, which is a town or city centre property providing full hotel services, except dinner, close to a range of places to eat. A warm welcome awaits you at Wayside situated in a convenient location for many tourist attractions throughout Shropshire and yet offering easy access to the cities of Wolverhampton and Birmingham. 2.5km from M54 J3. All rooms enjoy superb open country views and are tastefully furnished with ensuite or private bathroom, tea and coffee making facilities, remote colour television and central heating.We are a small but friendly establishment and pay great attention to comfort and cleanliness. Choice of Continental or full English breakfast which can be taken in the cosy guests dining room. (parties of up to 7 can be catered for). There are many good local restaurants and pubs. Some evening meals are available by arrangement. (English home cooking). Also nearby there are golf, fishing and leisure facilities. Ample on site parking. For the comfort and safety of our guests Wayside is a non-smoking house. Set in 17 acres of beautiful grounds, Rowton Castle Hotel is a striking 17th-century, Grade II listed building with 3-star AA status, 6 miles (9.7km) from historic Shrewsbury. Some of the rooms have a four-poster bed, hydrotherapy bath or luxurious Jacuzzi. All rooms are individually designed with elegant decor, complete with a TV and complimentary wireless internet access. Set in an oak-panelled dining room with velvet furnishings, the award-winning Cedar Restaurant serves excellent cuisine in a warm, relaxing environment. Picturesque Shrewsbury, with its many shops, bars and restaurants, is a short drive away. This modern country pub is just outside Ironbridge, in the heart of the Ironbridge Gorge World Heritage Site, a few minutes from Telford centre. Meadow Inn offers en suite rooms in a Georgian house next to the inn building. The rooms are all spacious, light and well-appointed with en suite showers and baths. 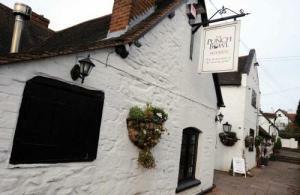 The Meadow Inn is known locally for its steakhouse menu, which uses only high-quality local beef from Oswestry. This small family-run hotel is located on the edge of the charming market town of Whitchurch and offers 10 unique, individually designed and decorated rooms. The hotel has a public bar and a small restaurant serving a range of traditional classic British dishes and authentic local specialities. The hotel's Chester Suite is a great venue for functions, meetings and events. 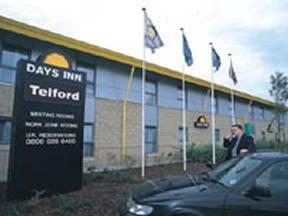 Located on the junction of the A41, the A49 and the A525, the hotel has great access to the area's major roads. The convenient location and proximity to the region's main routes make the hotel a good base, whether you are exploring the region as a tourist or visiting the area on business. Aston Lodge invites you to Wem. Set in just under one acre of gardens with ample parking we offer 10 ensuite bedrooms. We are open every day of the year and welcome you to Aston Lodge ,we are situated just 10 minutes by car from the lovely medieval town of shrewsbury . wem hosts its famous sweetpea show once a year . wether you come on business or pleasure we will make your stay pleasant and comfortable. This relaxing retreat is located within easy access of Wolverhampton and Telford, and offers beautiful surroundings, an 18-hole championship golf course and great leisure facilities. 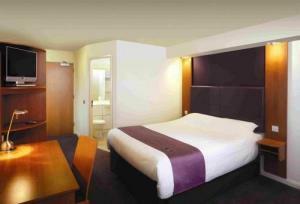 Rooms have recently been refurbished with really comfortable beds. Patshull Park Hotel and Country Club is situated within 250 acres of spectacular Capability Brown parkland and overlooks the great lake. The Health and Fitness Club has an indoor pool, solarium, gym, cardio suite, saunas, steam room and beauty therapist. Friendly, helpful staff provide a warm welcome and excellent assistance during any stay. For corporate needs 7 conference and function rooms are available. 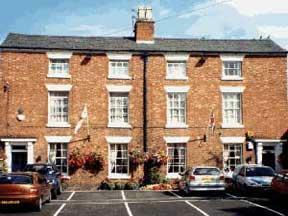 The hotel was awarded Winner of the Small Hotel of the Year in 2006 and 2007 for the Black Country Tourism and also Green Tourism Business Award. On the Shropshire and Welsh border hills, this peaceful country house sits in delightful English countryside, and has held 2 AA Rosettes for food quality for over 10 years. 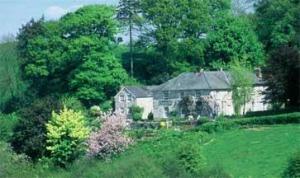 Set in 5 acres of grounds, with no passing traffic, Pen-Y-Dyffryn County Hotel is a silver-stone former rectory. It successfully mixes gentle hospitality with high standards of service and accommodation, for a great "away from it all" feeling. Pen-y-Dyffryn was chosen as 'Country Hotel of the Year' by The Good Hotel Guide, and 'Rural Retreat of the Year' by The Which Hotel Guide. 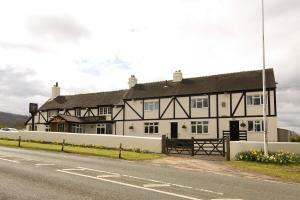 It has also been nominated as Johansen's 'Best Value Hotel'..
Set in the beautiful Shropshire village of Wrockwardine, on the outskirts of Telford, this splendid Georgian farmhouse provides the ideal base for a relaxing countryside break. Recently renovated, the house features 4 well-equipped rooms, complete with Wi-FI and TV with Freeview and a DVD player. 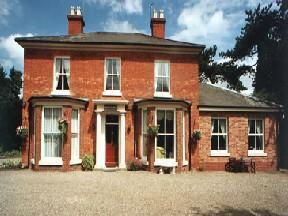 Furthermore, for your comfort, Church Farm provides a spacious guest lounge and breakfast room overlooking the gardens. Enjoy the stunning views over Wrockwardine and the Wrekin before setting off to explore the surrounding areas. This classic English country inn has open fires, wooden floors, oriental rugs and a warm welcome. 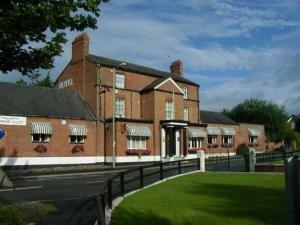 The Swan at Forton has gorgeous rooms in its main building and budget rooms in the annexe. Tasty homemade food is served in the restaurant and bar every day, with a freshly cooked breakfast every morning, and a carvery lunch on Sundays. Close to the heart of the pretty town of Market Drayton, this large Victorian terraced house offers free private parking and charming bed and breakfast accommodation. Just a short walk from the very centre of this attractive market town, the Hermitage Bed and Breakfast offers a choice of single, double, twin and family rooms. There is a range of accommodation to suit the needs and budget of any traveller. Some rooms have en suite bathrooms and rooms with shared bathrooms are also available. Each room has a TV, a DVD player and tea/coffee making facilities. The hearty breakfast includes locally sourced produce and evening meals are available. There is a lounge with digital TV and all guests can enjoy the use of the attractive garden. Walkers and cyclists are welcome and storage for bicycles is available. Situated just 10 minutes' walk from Shrewsbury town centre, the guest house offers a range of comfortable accommodation at great-value rates to suit the needs and budget of any traveller. 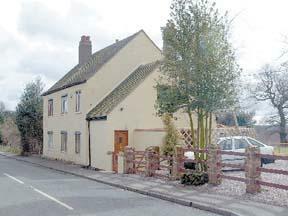 The Abbey Lodge Guest House has en suite rooms, as well as rooms with shared bathrooms. The rooms feature fitted carpets and common facilities. The guest house has full central heating throughout and also offers secure private car parking facilities for guests, free of charge. All areas of the house are non-smoking. Whether you are exploring the region as a tourist or visiting Shrewsbury on business, the guest house is a peaceful, comfortable base. All of the accommodation is available at affordable rates and a full cooked English breakfast is available as an optional extra at an additional cost. The Wynnstay Hotel was a well known coaching inn for both the route from Liverpool to Cardiff and from London to Holyhead. There are references dating back to 1727, but the existing building is typical of the Georgian style, and there have been many alterations and additions over the years. The hotel has been privately owned for the past 20 years and was sympathetically renovated over the past 2 years extending the function suite to 200 people capacity, and converting the old stable block at the rear of the hotel into a luxurious fitness club with an indoor pool, sauna, jet spa, steam room and 3 purpose build treatment rooms. Morgans at The Exchange Hotel is a newly refurbished hotel, bar and restaurant in the heart of Shrewsbury. It has free Wi-Fi and good customer service from the team. Morgans at The Exchange Hotel is family-owned and run. It is within walking distance of numerous visitor attractions, such as the new Theatre Severn, main shopping areas and churches. Quarry Park, where the Shrewsbury Flower Show is held annually, is 2 minutes' walk away.